It&apos;s 10 degrees on Long Island right now with 8 inches of snow on the ground. Blistering cold weather doesn&apos;t leave many options for social or outdoor activities! Fortunately, there are some great flicks out right now. The Weinstein Company&apos;s August: Osage County opens nation-wide today with a star-studded cast of favorites including Meryl Streep, Julia Roberts, Dermot Mulroney, Juliette Lewis, Ewan McGregor, and the list goes on and on. August: Osage County tell the dark, hilarious, and deeply touching deeply touching story of the strong-willed women of the Weston family, whose lives have diverged until a family crisis brings them back to the Midwest house they grew up in, and to the dysfunctional woman who raised them. After making its Broadway debut in December 2007 and premiering at Chicago’s legendary Steppenwolf Theatre, it continued with a successful international run. The Weinstein Co.is teaming up with MyHeritage.com for today&apos;s release to help us learn more about the Weston family and our own families with a FREE premium membership. I had some major holes in my family history and found sites like MyHeritage really useful in providing some clarity. Visit the interactive "Discover Your Roots" Facebook app here: "Ip1WOb" target="_blank">http://bit.ly/Ip1WOb to claim your FREE One-Month Premium Membership with MyHeritage.com and be entered in the daily sweepstakes plus grand prize. WIN IT! 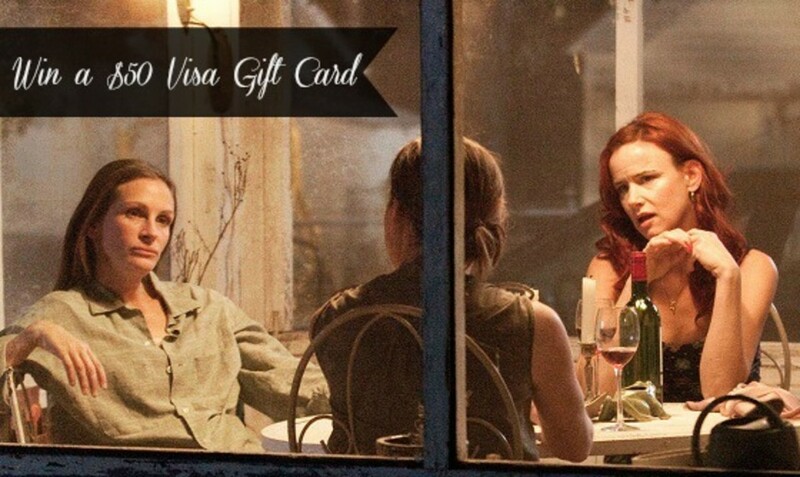 I have a $50 Visa Gift Card for one Glamamom reader to buy movie tickets and popcorn!